It was truly a stage of epic proportions as riders were soaked to the bone in the first 30 minutes of the opening 63km stage; it was a real mud-fest for the entire stage, bikes and riders alike were covered with the thick clay like grassland mud that made for a challenging race. Fortunately, the sun came out and made the day a bit better and helped the mud dry solid on the riders. 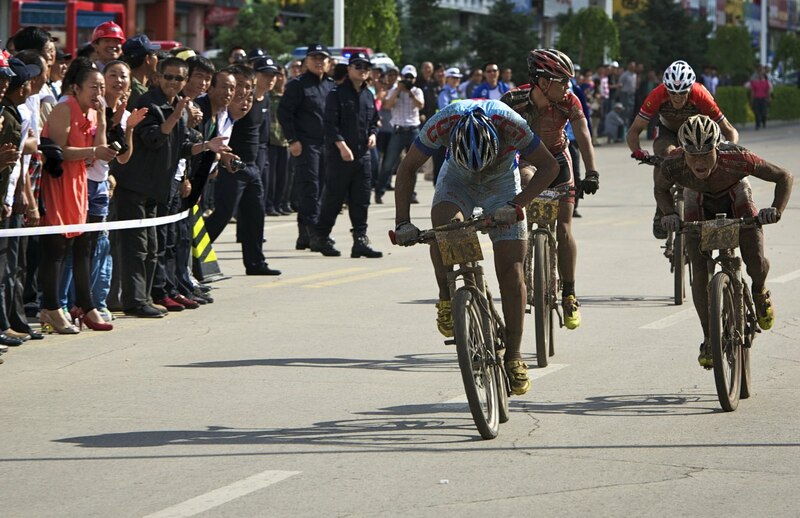 At the front of the race, there was a tight group of four riders consisting of the Triace duo Feng Kuanjie and Weng Lei, 2011 Mongolian National Champion, Altanzul Altansuckh and CHIRU-WTB’s Erich Felbabel. 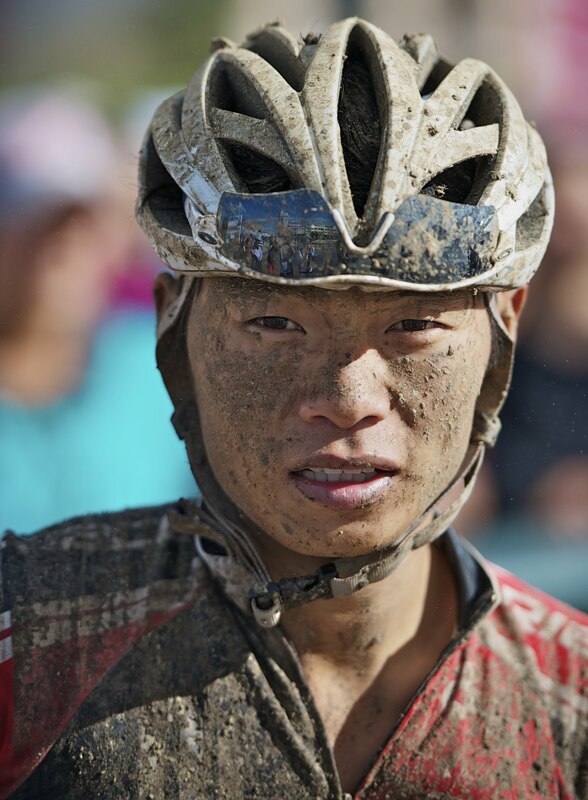 The 4-man breakaway put seven minutes on the fifth placed rider and the race ended in an exciting 4-man sprint in which the Mongolian National Champion showed his class by sprinting ahead of Feng Kuanjie to win the opening stage of the Inner Mongolia 3-day MTB race. 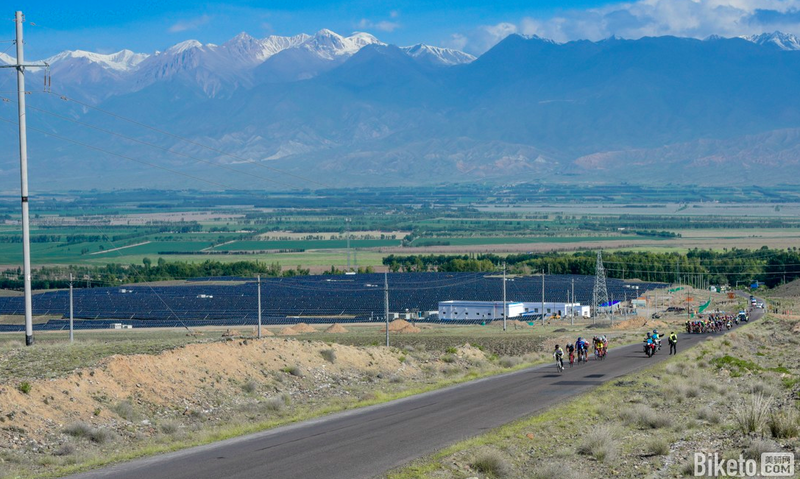 In my previous blog post, I mentioned that the Mongolian National Team’s mountain bikes were detained at the border yesterday, but apparently they succeeded in getting their bikes into China this morning and thus were all able to race on their own bikes. Three of the Mongolians finished in the top 10, showing some fine form ahead of the Mongolian Bike Challenge that will be staged next month. CHIRU-WTB’s French rider, Erich Felbabel who is also a professional triathlete was the best of the team placing 4th and more importantly with the lead group. Pierre Arnaud le Magnan (CHIRU-WTB), the founder of CHIRU bikes, placed a solid seventh place, while I finished back in ninth position. Having three of the CHIRU-WTB team riders finish inside the top 10 represents a solid opening debut for the newly formed Asia-based team with main sponsor WTB along with supporting sponsors Rotor Cranks, Magura and Syntace all onboard providing high-end quality components. Right from the gun, I led the race up to the climb and once the dirt road reached the steepest section, the Triace duo Wang Lei and Feng Kuanjie took over at the front and sprinted for the summit. I was able to follow them over and once I crested the top, I quickly checked on our progress – the three of us had a 10 second gap on the next rider. My plan had gone well: riding over the top with the leaders; however the plan went to custard when my water bottle flew out and I had to make a decision: either carry on and risk suffering badly in the last half of the race or stop and run back up the hill to fetch the bottle on the ground. I decided on the latter, but this cost me a position with the lead group that quickly formed at the bottom of the descent. In this type of race, riding to catch up is always a big ask and without other strong riders around to help break the prevailing wind it was going to be next to impossible to regain contact with the leaders. 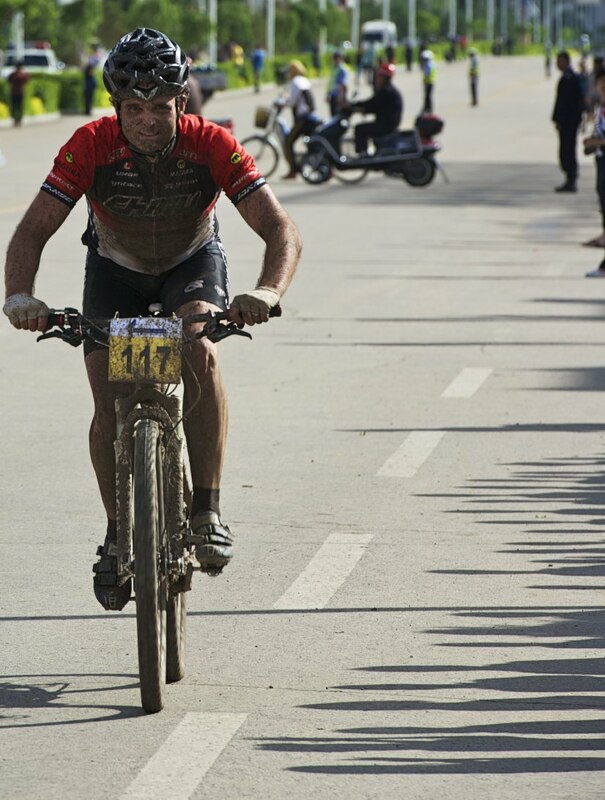 I continued to ride at my highest sustainable pace throughout and was initially with several riders, including one Trek rider (pro Adventure racer), Franz Jammernegg (AUT), another Chinese Triace rider and Jamsran Ulziibator (Mongolia National Team). For a while we were a group riding together but it soon broke up after the next major climb when Jamsran kept surging ahead. Jamsran was very powerful and kept surging on ahead, but was bogged down in technical and extra muddy sections -due to lack of mountain bike technical skills. On many occasions I would swap places with the Mongolian as he struggled through the mud, but then he would zip by me quickly; however I was able to maintain power to keep him within 20 seconds of me. There was only three of us in the group left when we tackled the second longest climb and the Trek rider fell of the pace. It was just me and the Surging Mongolian in a duel to the line. In the end in finished about half a minute ahead of me to snare 8th position. The Mongolian National Team consist of some very strong riders and one must not overlook the fact that Tuguldur Tuulkhangai was probably the strongest rider of the stage, often on the front of the breakaway driving the pace hard for sustained periods. But he ran into some bad luck and had some chain problems which required trail-side service, using a tool kindly given by Ed Cork (Specialized) who finished 5th. Tuulkhangai subsequently finished 14th for the day. Despite his chances being ruined, his team-mate Altanzul Altansuckh was able to come from behind to catch the leading trio and then out-sprint them. Tomorrow’s stage is a shorter one, at 43kms, but will feature several short steep climbs and some gradual ones through the grasslands. The Mongolian National Team is likely to try out some team tactics to protect their race leader while the CHIRU-WTB Team have Erich Felbabel who will only get stronger as the race progresses. The Triace Duo – Wang Lei and Feng Kuanjie are looking quite tired due to their relentless attacking throughout the stage and was slowed considerably towards the business end of the stage. 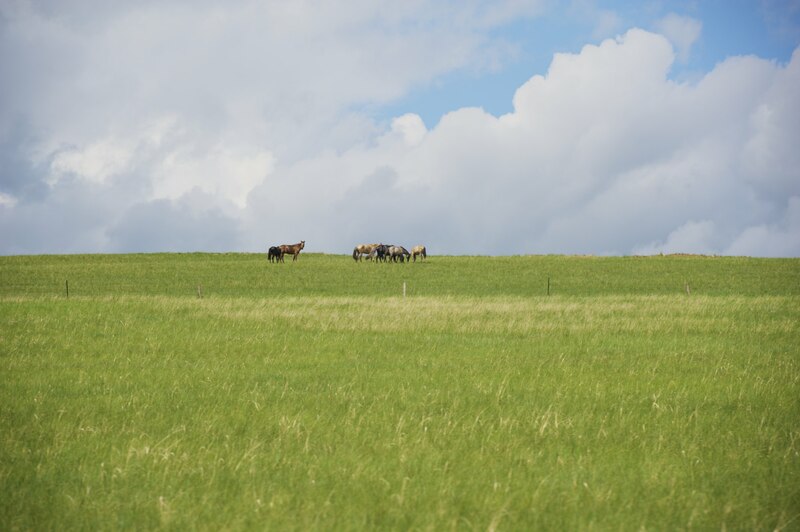 It will be an interesting next couple of days as the racing progresses through the grasslands full of sheep and horses. Stay tuned for Stage 2 report tomorrow. All photos courtesy of Kirk Kenny Photography. Below is my Strava screenshot of how hard I worked. A suffer score of 195 and average heart rate of 164bpm for 2hrs 40mins meant I was right on threshold for the entire race. 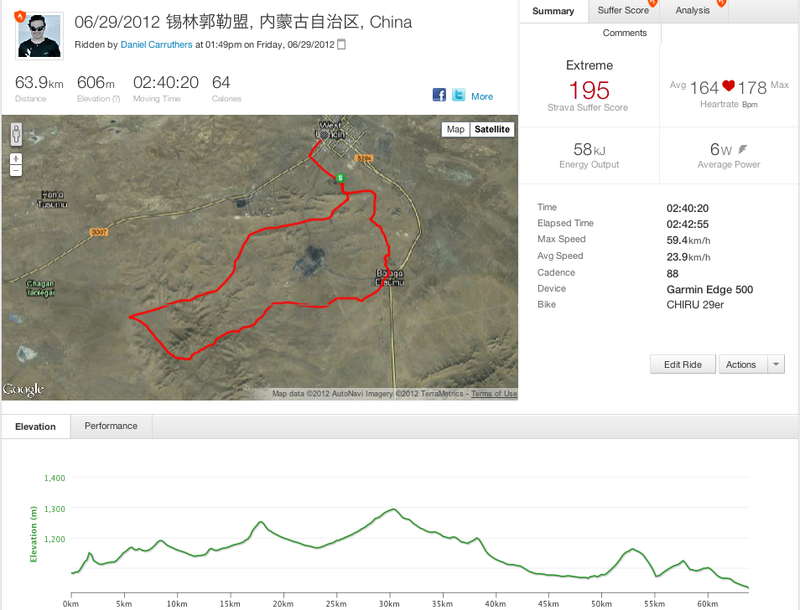 You can click here to view my full Strava file. Tomorrow, if I drop a bottle, I wont be stopping for it! Keep scrolling for the results and more photos.